Recent advancements in technology have led to the development of more convenient, mobile forms of micro-volunteering. To help a good cause today, all you need is an internet connection, a smartphone and a little bit of time. Micro-volunteering helps you become a better person in a very easy and quick way, as it fits around your schedule. You can help someone in less than 30 seconds, from the comfort of your sofa. Isn’t it awesome? Be My Eyes is a brilliant App that helps you “micro-volunteering” your time to help blind people. It works really simply. Let’s say a blind person wants to bake a cake. He needs to know if the milk left in the fridge is good or expired, but he doesn’t have anybody close by to ask. So, he picks up his phone and makes a request for assistance through the Be My Eyes App. Somewhere in the world, a volunteer receives a notification and a live video connection is established, so that he/she can help the blind person figuring out whether or not he should use the milk. People instantly loved the App and it just went viral. The startup didn’t invest any money in promotion since it was launched in January 2015. And yet, they have become the biggest community for blind and visually impaired in the world, with over 300.000 volunteers. As they make it easier for its customers to BE better, this experience became the marketing: people started sharing their BE better experiences on socials, which helped to convert the crowd into community. It’s pretty amazing when I, in England can get help from somebody in Thailand thanks to @bemyeyes. Thank you, BE better technology! Be My Eyes is a great example of a BE better technology. 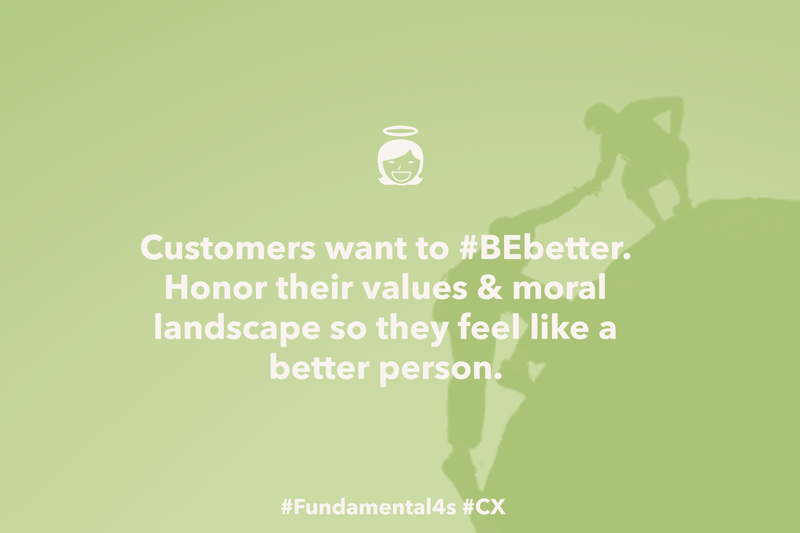 When you make your customers BE better, you help them honoring their personal values and moral landscape. In other words, you help them do what they believe is the right thing. BE better is a significant customer motivation that is always present, no matter what offering is in question. It is part of the Fundamental 4s, a model designed to help companies like yours making important business decisions, look for new market opportunities or develop new strategies. You can download your free copy of the Fundamental 4s model here. In short, the model states this: all customers’ primary motivations are to BE, DO, FEEL and/or LOOK better. When you make your customers BE better, you are honoring their values and moral landscapes, to make them feel like a better person. You can also make them DO better by enhancing their performance, skills, competencies and results. This way, you will help them becoming more successful and capable of doing something. 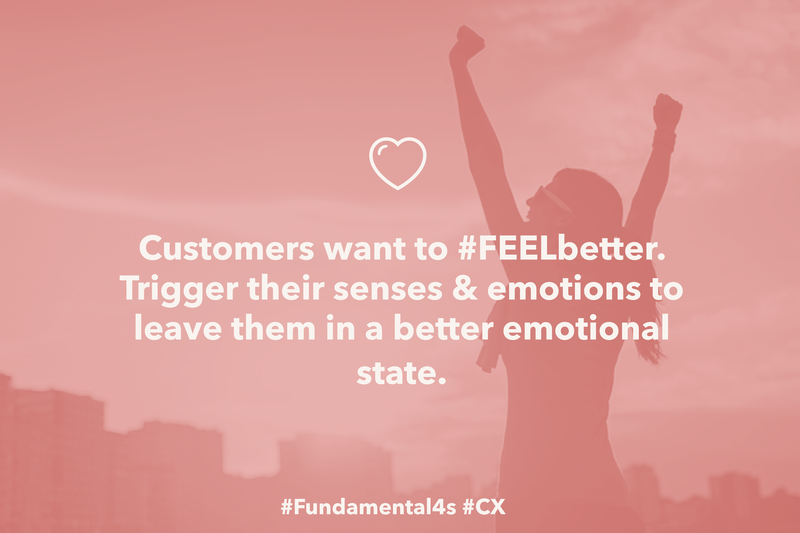 FEEL better is about triggering your customers senses, leaving them in a better emotional state, while LOOK better is about improving their social status creating appreciation and recognition. They are four extremely important customers motivations, as they can provide lasting stability and guidance in the hyper-complex, exponential world we live in. What can we learn from the BE better company Be My Eyes? BE better companies easily differentiate from competition. Companies that combine their natural hunt for profit with a just as natural hunt for purpose differentiate themselves from their competitors by helping their customers BE better with their offering. Seriously, who doesn’t want to become better? We constantly strive towards improvement, and we love when someone makes that easy for us! By making customers BE better, companies save big on their marketing budget. What you do to help your customers improving is enough to get them talking. Think about all those Apps that caught your attention just because they went viral on socials. BE better Apps like Be My Eyes have indeed proven to promote a contagious word of mouth that can naturally become the marketing. From purpose OR profit to purpose AND profit. Join the megatrend. As a BE better company, purpose and profit go hand in hand. One does not exclude the other, it is integrated into the business model. More and more companies are coming up with great ideas and technologies to help their customers honoring their personal values and moral principles. And they are doing just great. Be My Eyes provides a great BE better story, but it is not the only one. 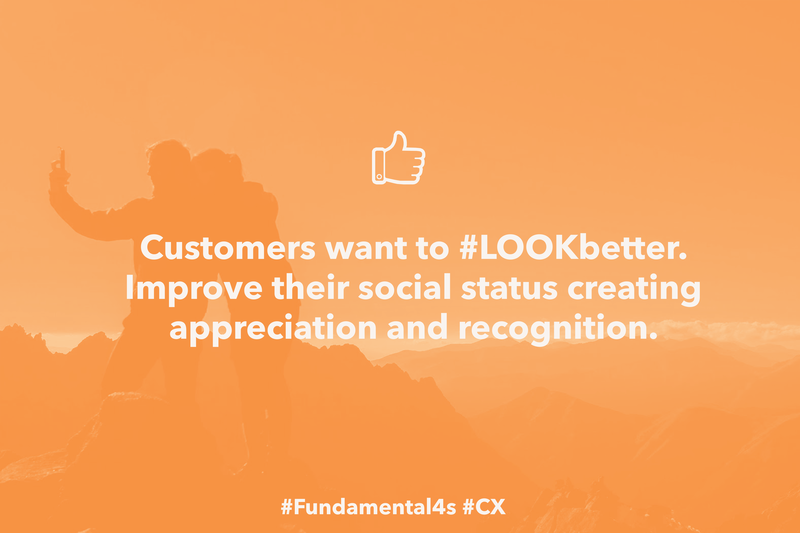 For more examples of BE better companies, we recommend The Fundamental 4s ebook, a sweet, short and to the point ebook on how to design extraordinary customer experiences. 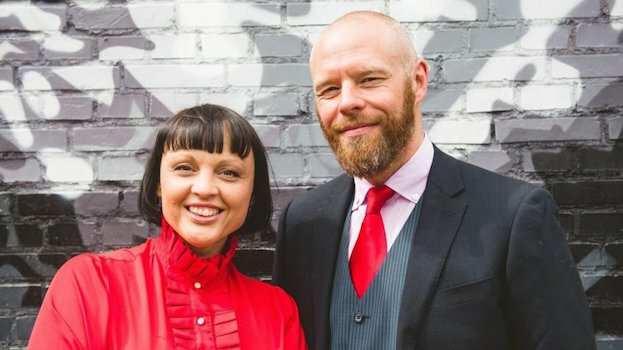 If you have any questions feel free to reach out to the authors Laila Pawlak (@DARE2dk) and Kris Østergaard (@KrisOestergaard) on Twitter! DARE2 is a innovation and experience design company based in Copenhagen, Denmark. Our Massive Transformative Purpose is to inspire, enable and connect people to scale positive impact in the world. In doing so, we help international companies and startups design extraordinary customer experiences through a deep understanding of customer motivations and the exponential development of technology. Get the latest blog posts and DARE2 news! We want to help you create positive impact! Drop us a line to find out how.